This highly comprehensive, introductory book explains the basics of structural health monitoring aspects of composite structures. 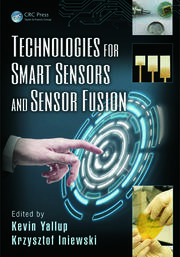 This book serve as an all-in-one reference book in which the reader can receive a basic understanding of composite materials, manufacturing methods, the latest types of optical fiber sensors used for structural health monitoring of composite structures, and demonstrated applications of the use of fiber sensors in a variety of composite material structures. 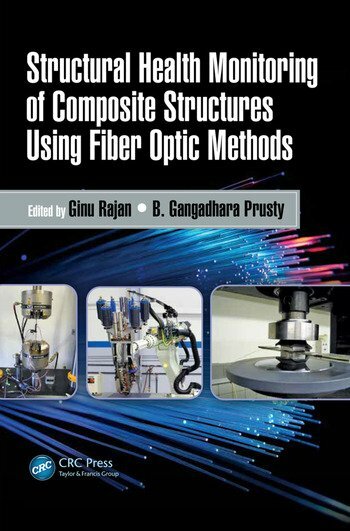 The content draws upon the authors’ and distinguished contributors’ extensive research/teaching and industrial experience to fully cover the structural health monitoring of composite materials using fiber optic sensing methods. Ginu Rajan is a vice-chancellor’s research fellow/lecturer at the University of Wollongong, Australia; he is also a visiting fellow at the University of New South Wales, Australia. He received his BSc degree in Physics from the University of Kerala and MSc degree in Applied Physics from Mahatma Gandhi University, Kerala, India, in 2000 and 2002, respectively. He worked as a researcher at the Indian Institute of Astrophysics during the period 2003–2005. 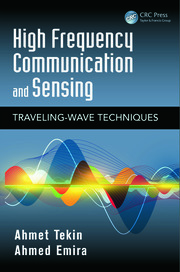 He subsequently undertook research in the area of optical fiber sensors, in which he gained a PhD from Dublin Institute of Technology, Ireland, in 2009. During 2009–2012, Dr. Rajan worked as a project manager at the Photonics Research Centre of Dublin Institute of Technology in collaboration with the Warsaw University of Technology, Poland, and from 2012–2014 as a research fellow/lecturer at the University of New South Wales. He has published over 120 articles in journals, at conferences, and as book chapters, and two patents are also granted to him. He has also given invited talks at conferences and is a technical program committee member of several conferences in the smart structures and photonics area. Dr. Rajan is currently a reviewer for more than 23 scientific journals and also a reviewer for grant applications of the Portugal Science Foundation and Australian Research Council. 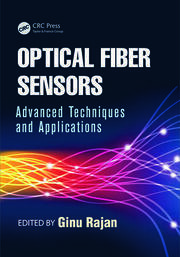 He is the editor of the book Optical Fiber Sensors: Advanced Techniques and Applications and also an editorial board member of the Scientific World Journal. His research and teaching interest includes optical fiber sensors and their applications in biomedical engineering, fiber Bragg grating interrogation systems, photonic crystal fiber sensors, polymer fiber sensors, smart structures, and physics of photonic devices. He can be reached at ginu@uow.edu.au or ginurajan@gmail.com. B. Gangadhara Prusty is a professor for the University of New South Wales Mechanical and Manufacturing Engineering and leads the School’s Advanced Structures and Materials group. He is also the deputy director of the Centre for Sustainable Materials Research Technology at the University of New South Wales. His research strength is in the mechanics of composites at nano, micro, and macro scales, embodied with the latest analysis and modeling techniques blended with material characterization. Gangadhara has already contributed to a number of fundamental developments in the field of mechanics of composite materials and structures, such as the novel finite element formulation for stiffened structures, in situ monitoring of robotic composite manufacturing, hierarchical multiscale submodeling approach for the onset theory, efficient modeling of barely visible impact damage in post-buckled structures, robust design optimization for layups for shape-adaptive composite propellers, and mitigating creep and cracking in thermoplastic composite welding. Professor Prusty has led a number of major internationally collaborative projects, such as Systems for Crashworthiness and Robust Optimisation for Imperfection Sensitive Composite Launcher Structures at the University of New South Wales, through external funding. His research is closely aligned with the emerging research strength of next-generation materials and technologies at the University of New South Wales. "A well-edited and well-titled text that offers the reader a solid and detailed reference perspective of the topics using the appropriate tools at the appropriate locations."